Capitalism is ‘hegemonic,’ dominant throughout society, even in the ideas of people who want to see social change. In this context the theory of ideological hegemony, developed by Antonio Gramsci in the early 20th century, still has relevance nearly a century later. Antonio Gramsci was an Italian revolutionary socialist who lived from 1891 to 1937, and became active in socialist politics from 1916. Along with VI Lenin, Rosa Luxemburg and others, Gramsci broke with the Second International – at that time the dominant international organisation of socialists. Leaders of the Second International had opted to support the imperialist slaughter of World War I. Rather than fighting for socialist, internationalist politics here and now, these leaders argued that economic struggle would inevitably lead to socialism at some point in the future. [The Bolsheviks] are not ‘Marxists’, that’s what it comes down to: they have not used the Master’s works to draw up a superficial interpretation, dictatorial statements which cannot be disputed. They live out Marxist thought… In this kind of thinking the main determinant of history is not lifeless economics, but man; [sic] societies made up of men, men who have something in common, who get along together, and because of this civility they develop a collective social will. Gramsci’s Prison Notebooks explored Italian cultural and social history, but the goal was more expansive. Whereas many of Gramsci’s journalistic writings outside prison by his admission “were written with the day and were supposed to die with the day,” his Prison Notebooks were intended as a more general historical exploration, even an “absolute historicism.” This absolute historicism is a toolbox to be adapted to changing circumstances and historical conditions, with the unifying aim of overthrowing ruling-class power. As the state arose from the need to hold class antagonisms in check… it is as a rule the state of the powerful, economically dominant class. Although Gramsci was a Leninist, his theory of hegemony has distinct observations from Lenin’s theory of state and revolution, dealing more extensively with ideological and cultural struggles in non-revolutionary conditions. Russia’s Tsarist regime relied heavily on direct repression; massacres of workers and peasants who fought back. However, more developed capitalist states (particularly in the imperialist world) have a more sophisticated system for maintaining hegemony. State = political society + civil society, in other words hegemony protected by the armour of coercion. This is a carrot and stick approach; consent is the carrot, coercion is the stick. The army and the police force apply direct coercion where necessary; using guns, batons, pepper spray, tasers, prison cells when workers and the oppressed get out of hand. However much of the time, guns are unnecessary, as the system relies on consent, through an ideological system that justifies capitalist rule. Capitalism is hegemonic within trade unions, political parties, churches, media institutions and other civil society bodies. Particularly in non-revolutionary times, the dominant forces within most of these organisations lead towards collaboration with the state to ensure consent, to direct discontent into appropriate channels. This may sound like a conspiracy theory, but any sustained engagement with civil society bodies, such as trade unions and community sector organisations, will show their limitations. Queer support organisations rely on state funding and grants, limiting their ability to openly challenge government policy, let alone the ruling order which leads many queer/trans* youth to suicide or homelessness. Trade unions must compromise with employers to settle disputes, for example the Public Sector Association agreeing to redundancies in exchange for defeating a wage freeze attempted in late 2009. To counter these pressures, Gramsci argues for a long-term war of position, a protracted cultural struggle in preparation for the war of manoeuvre, a revolution or frontal assault on the state. Gramsci notes that while frontal assault on the state was appropriate for Russia in 1917, “war of position… was the only form possible in the West,” because civil society is more developed. In waging a war of position, socialists must develop a counter-hegemony. Hegemony operates through ideology, and through meeting needs, in ways that justify the prevailing system. Counter-hegemonic projects seek to construct a new hegemony, by formulating ideas and meeting needs in ways that sustain an oppositional culture. For example, in her essay “Ideology, Hegemony and Inequality” published in Studies in New Zealand Social Problems (1990), Allanah Ryan notes the importance in a Gramscian approach of not simply seeking “narrow interests,” but incorporating “popular views” of various groups. Working in early 1990s Aotearoa/NZ, Ryan suggests “women’s rights and peace issues” as subjects that any meaningful counter-hegemonic bloc must address. In reality, Gramsci had become increasingly critical of the Stalinist turn in the world communist movement, particularly the ‘Third Period’ which saw a sectarian turn against reformists in the working class movement. Gramsci had returned to the idea of tactical unity with other working-class forces while retaining an independent communist organisation, recommended by Lenin in 1921. 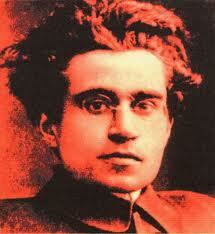 However, the Italian Communist Party sought to use Gramsci’s name in death to shore up their sectarianism. In the early 1960s, the Italian Communist Party published Gramsci’s full works uncensored. After Stalin’s death, many Western Communist Parties took a sharp turn away from the sectarianism of the Third Period towards accommodation with ruling Western regimes. At this point the Italian Communist Party used Gramsci’s work, particularly his criticism of the Stalinist Third Period, to justify their ‘historic compromise’ with the ruling regime in Italy. This laid the basis for what became known as Eurocommunism, defined by compromise with dominant political order. Eurocommunists came to defend the existing Social Contract, rallying to the defence of existing democratic institutions tied to capitalism. However, socialism cannot come through defence of declining democratic institutions, through voting Labour or joining your union. Although engagement with institutions is necessary, the system is ultimately broken. Socialism can only come through sustained independent opposition in every sector; in the electoral, workplace, campus, community sectors; and the formation of a historic bloc bringing these struggles together in unified opposition to the ruling order. Gramsci’s revolutionary work was centred on the Turin factory council movement, democratic bodies of workers which sought control over production. In the 21st century West, the Occupy movement has offered a glimpse of what this direct democracy could look like, particularly Occupy Oakland’s combination of a radical, democratic commune with militant industrial tactics in the port. The Italian Communist Party in Gramsci’s period also contested elections, with the intention in his words “to rip the democratic mask from the double face of the bourgeois dictatorship and show it in all its horror and its repugnant ugliness.” In non-revolutionary conditions, counter-hegemonic engagement in official politics such as elections must always be oppositional. There are no short-cuts, and by entering into capitalist governments, we run the risk of sacrificing long-term strategy. Community-based organisation can both win concrete reforms, and lay the basis for winning peoples’ power. Today many ‘Gramscians’ have no meaningful connection with attempts to develop a new communist practice, instead using the notion of a protracted cultural struggle, a “march through the institutions,” to justify their turn away from revolutionary politics. While the first generation of Eurocommunists had used Gramsci to justify a ‘historic compromise’ with liberal democracy, many current Gramscians abandon even the superficial trappings of openly communist politics. In a particularly revolting UK example, “social entrepreneurs” The B Group grouped around capitalist Richard Branson appropriate Gramsci’s call for cultural struggle, without any notion of abolishing private property and exploitation. Subtler examples abound throughout academia, with liberal academics speaking of “hegemony” and “counter-hegemony” totally divorced from anti-capitalism. This confirms one of Gramsci’s key ideas; most intellectuals operate as functionaries, mechanically serving the ruling order. Stalinist politicos, academics, “social entrepreneurs” and others have claimed Gramsci’s argument for a protracted cultural struggle, while divorcing it from anti-capitalist politics. Gramsci himself was an organic intellectual, a worker from a poor background – unlike Marx, Engels, Lenin and other revolutionary leaders who had betrayed their privileged class origins and committed themselves to revolution. Although it is not enough, lived experience of oppression is crucial to the collective process of developing revolutionary consciousness. Gramscian cultural approaches contrast with the ‘mechanical materialism’ often associated with vulgar Marxism. ‘Mechanical materialism’ denies lived experience of oppression, and the complex relationship between culture and lived experience, in favour of lifeless economic determinism. Revolutionary consciousness must be rooted in local conditions, in the memory of the class. We must study our own environment, our own history, our own place in society. An encompassing cultural struggle must draw lessons and knowledge from intersecting struggles; worker, student, queer, feminist, indigenous, anti-imperialist and ecological struggles among others. The possibility of a new communist vanguard seems remote today in Aotearoa/NZ, just as the Bolsheviks did not predict the generalised strike action that led to the 1917 Russian revolution. However, we can only forge an egalitarian society through meaningful commitment to the praxis of revolutionary socialism. Paraphrasing Gramsci, we need pessimism of the intellect, optimism of the will.